Alright, so if you’re still here, let’s get started 💻. Since there are actually 2 versions of the same reddit website, I am going to choose one over the other for scraping purposes. The new version of ready is currently the main one which is live on their website, which people actually use. The old reddit gives us a much better option when scraping because the content is provided directly and they do not use dynamic content loading as much as in the new version. Because we can get more html and content with a simple NodeJs request, we are going to use the older version, which has the same content, over the newer one. I would not recommend trying to scrape the New version without a solution like Puppeteer or Nightmare simply because it doesn’t make sense to create all the needed requests manually in order to get the content. The first thing that you always gotta’ do when starting a web scraping project is to investigate and get familiar with the website you want to scrape. This will help you understand what you need to do and will give you a deeper technical advantage. I chose a simple subreddit and accessed it, right clicked on the actual discussion and inspected the element via Chrome. By investigating we right of the bat understand that we have the main are which holds the content under the #siteTable id and inside of it, all the discussions can be easily accessed under the div’s that have the class of .thing and the other classes don’t even matter now. That’s all you need for a basic scraper. Since, as mentioned above, we are using the old version of Reddit, we can simply use a direct request to reddit and get all the html needed and use Cheerio to parse through it and get what we need. Once we have all the posts, while we get them, we must take other details from them also. And if you want to get more details, you are free to extend this code and let me know, I’m gonna share it here on in another blog post and mention you 👋. As you can see from the above picture, the class names are pretty straight forward and not complicated at all to use in order to get what you want. 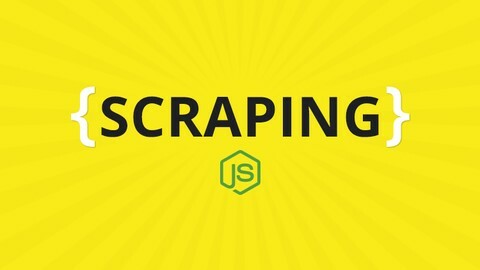 Also if you want to learn more and go much more in-depth with the downloading of files, I have a great course with hours of good content on web scraping with nodejs.